3 Reasons To Buy From Fast Fashion Stores (And What You Should Buy). There was once a time when I enjoyed digging through piles of the latest trends in fast fashion stores. I had a wear-today, dump-tomorrow closet full of clothes. Then my husband and I had kids, moved to a hobby farm, planted gardens, and bought chickens and bees. We now compost, recycle, donate and conserve. We are more conscious of the way we spent our time and resources. I try to buy higher quality clothing in natural fabrics (silk, wool, leather, and cotton). But one day, last month, I abandoned my responsibilities and lifestyle and hit the fast fashion stores in New York City. It was all because of a birthday, a long distance friendship, and this blog. One of my oldest and dearest fashion biz friends was going on a business trip to NYC. She had a one day break, that happened to be on my birthday. I asked my family to postpone my hugs, handmade cards, and chocolate cake for a few days, while I flew to NYC to meet her. We had endless options for celebrating: Broadway shows, exotic restaurants, rooftop bars, and gorgeous museums. Which ones did we end up going to? None, of course. Did I mention that she was a fellow fashionista? We shopped from morning until night. With thousands of stores to explore, I decided to focus on the two categories that my town doesn’t offer: designer brands and fast fashion. After a glorious two hours in Bloomingdales, I realized that designer brands with their consistent fit and impeccable workmanship were easy to shop for online. So I spent the rest of my time at the fast fashion stores with their blaring music, touchscreen mirrors, and organized chaos. Curiosity led me to Zara, Mango, Uniqlo, and Aritzia. Then 3 unexpected discoveries, promoted me to actually buy a dozen or so items. Fast fashion retailers have a reputation for cheap fabric, imprecise stitching, and unreliable fit. I was very pleasantly surprised by Mango. This pleated midi dress was adorable. Had the color not been too light for my complexion, I would have come home with it. Instead, I bought this dress which was a perfect fit, a flattering color, and nicely stitched and finished. If you’re looking for a simple handbag, this leather purse was lovely too. I would have bought but I’m holding out for a personalized handbag that I’ve had my eye on for a few months. I didn’t try on any of the Mango shoes on this shopping trip, but I have ordered their shoes in the past and found their leather ones to be a really nice quality. In general, I find that my leather products are more supple and last longer than faux leather ones (which are stiff and crack). Had I seen this silk shirt or this gorgeous openwork cotton/silk blouse in the store, I would have snatched them up too. If you’re shopping at a Mango store or online, this weekend they’re offering 30% off with code MNG30 at checkout. They also offer free shipping and returns. (If you’re wondering, Dictionary.com considers uniqueness a noun). Uniqlo (aptly named) is a Japanese brand that has a mission to create “simplicity, quality and longevity”. In the U.S. it is considered a fast fashion brand. The result is decent quality and refined design, at low prices. Win-win! What I found to be most unique, though was Uniqlo’s Airism line of innerwear. This includes seamless tanks, camisoles with self-deodorizing built-in cups and underwear. 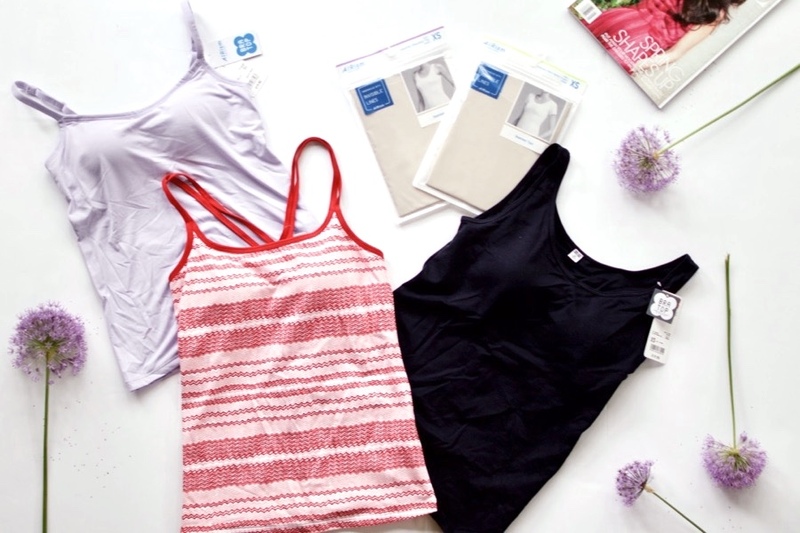 If you are an A or B-cup (possibly even a C) you’ll love that these pieces eliminate the bulk from a bra + camisole. If you’re larger than a C-cup, there are seamless t-shirts, tanks, and camisoles without the built-in cups so that you can wear your own bra. Clothing/accessories that you don’t wear often. Pieces that are easily stained/ripped. Trendy items that you will soon want to retire. White T-shirts (stains and holes). Straw bags, PVC clear bags, embellished clutches. For these items, I shop at Zara, the darling of Pinterest, fashion editors, and influencers. I spent almost two hours at their Soho store, but since my bags were already heavy, I decided to come back and order some of my favorites, online. These trendy side stripe jeans were a nice fit and decent quality. This vinyl tote is so on trend, and since vinyl is fairly cheap, I can’t justify paying $200+ for some of the designer PCV/Vinyl bags. Same goes for this raffia clutch. 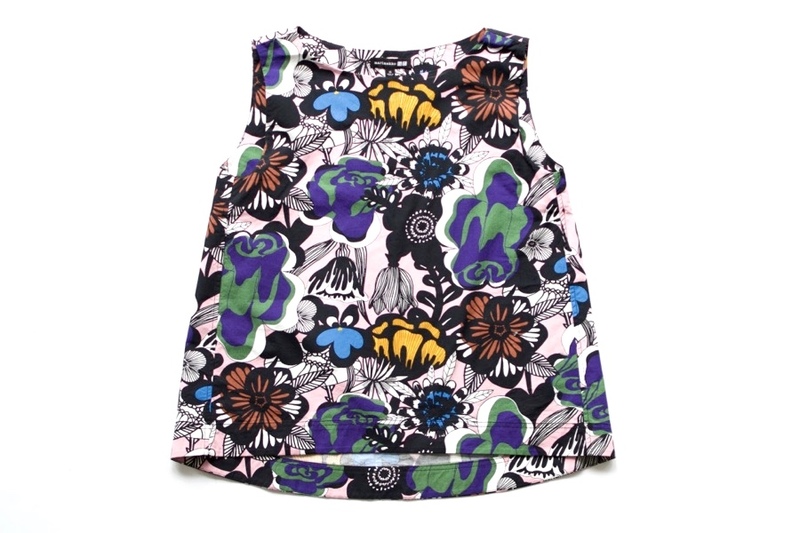 Zara also has a huge kids collection, so if you have kids under 14, they’re a fun resource for trendy, practical clothing. I bought this white t-shirt for my daughter. It’s tough to photograph the burnout part at the top, but it is the most adorable cat pattern. It has held up for several washes, and I’m pretty sure she will outgrow it or stain it before it falls apart. The other fast fashion brand that I have to mention is the Gap. I don’t buy a lot of their clothing and accessories anymore but their GapBody line continues to be a staple in my closet. I didn’t go to their NYC store, as I know their sizing well and can shop online for practical, on-trend and durable pieces. Do you have a favorite fast fashion store? What’s your shopping strategy? Fast Fashion, designer investment pieces, or something in between? I went to Uniqlo when I was in New York three weeks ago. I had never seen that store before. The prices are amazingly good and the quality seemed decent. I actually found a light yellow sweater there that I needed to go with a dress that I couldn’t find anywhere else. Glad you found what you were looking for! I found the quality at Uniqlo to be pretty consistent amongst all of their products. Some of the other fast fashion stores like Zara and Aritzia were more hit or miss for me. I’m curious to see how my Uniqlo pieces hold up after several washes. Thanks for reading my post! I’m on the completely opposite track right now—sewing. It’s the ultimate s l o w fashion. Pingback: 3 Father's Day Celebration Outfits: Breakfast, Barbecue And Date Night.